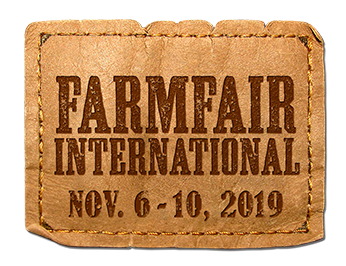 From cowboys to kids and everyone in between, Edmonton’s Farmfair International hosted 101,129 people from November 8 – 12. The 44th Farmfair was a record-breaking event, with the highest attendance numbers ever including curious families, international buyers expanding their businesses, world-class competitors and trade experts. Farmfair is only possible with the support of attendees, sponsors and partners. Thank you to 2017’s feature partners: The Government of Alberta, Coca-Cola, Martin Deerline, Edmonton Tourism, RAM and Budweiser. More than 90 upcoming cowboys and cowgirls aged nine to 14 competed in the Rodeo’s Future Champions presented by Back on Track at Farmfair International, showing off their calf roping, goat tying, team roping and more. New to this year’s Farmfair International, young contestants could also try their hand at the Rank Mini Pony Canadian Classic, a bucking mini-pony event. 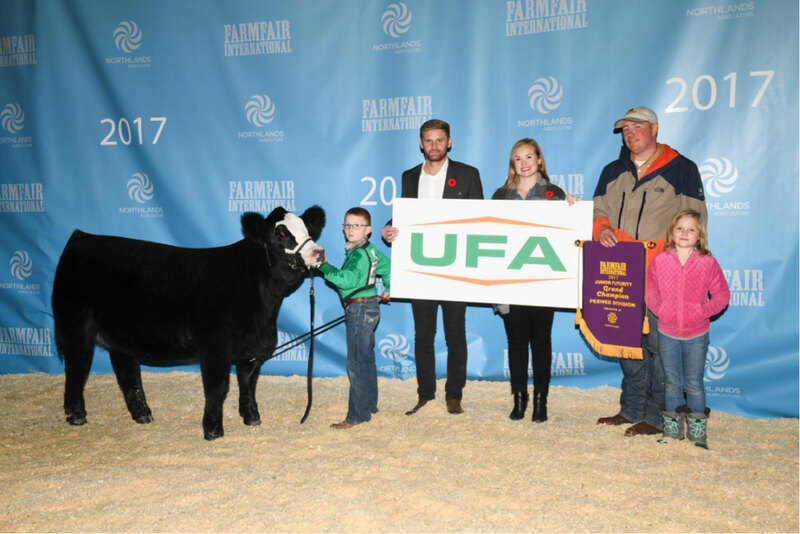 The next generation also showed off during the Junior Futurity presented by UFA. The future of agriculture ranging from ages five to 21 showcased their cattle in a number of divisions, with winners in each division taking home prestige, scholarships and valuable knowledge for their future careers. In a year with highest number of entries ever, Kade Rancier took home top prize in the Pee Wee division. Pictured below is Kade and his father Garth, the past chair of the Northlands Beef Committee! As an international event, Farmfair boasts attendees from all over the world. As a testament to Canada’s cattle, Farmfair saw a 30% increase in international buyers in 2017, including buyers from South Africa and Namibia. Each year the number of international buyers increases, as the buyers share the experience they had at Farmfair International and Canadian cattle are showcased in foreign countries. In partnership with the Olds Fall Classic and Lloydminster Stockade Round-up, Farmfair International showcases breed champions of all breeds from the three top cattle shows in Alberta to name two Alberta Supreme Grand Champions presented by RAM. Tyler Bullick and Family’s Prairie Cove Charolais from Alberta took the crown for Supreme Champion Female, and Scott & Jackie Payne’s Greenwood Limousin Angus from Saskatchewan was awarded Supreme Champion Bull. In addition to prestige, the winning cattle owners drove away from the event in their brand new RAM trucks. You can watch the champions in action on Facebook! If you want to see more of 2017’s Farmfair International, you can find results from all the shows and sales, news and photo highlights. Farmfair will return in 2018, from November 7 – 11 in conjunction with the 28th Royal Agriculture Society of the Commonwealth Agriculture Conference. Thank you to all for your continued support and thank you to all the staff and volunteers for their tireless dedication to make Farmfair International one of Edmonton’s, and agriculture’s, biggest events. Sheep Producers Scholarship – Applications are open!